Lisa is a doggie lover and decided to share recipes for the homemade dog treats that she makes for her own dog, Lacey. Six of the recipes are allergy-free and contain no wheat or corn. Four of the treats are for dogs who don’t have allergies and can eat anything. Many of these treats look good enough for human beings to eat ! 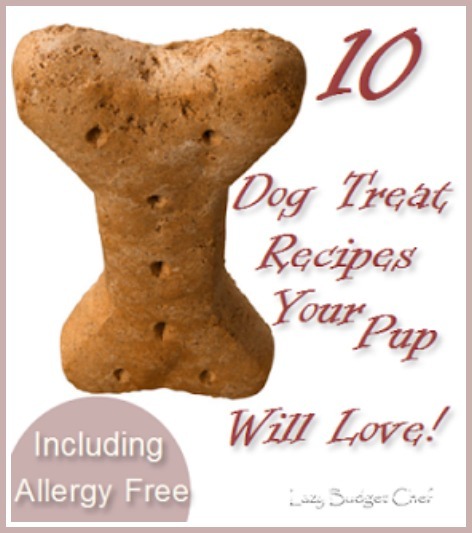 Click on the 10 Homemade Dog Treat Recipes – Including 6 Allergy Free Recipes link below to see all 10 homemade doggy treat recipes.